Thank you for your interest in our Carptrack Boilie Range! 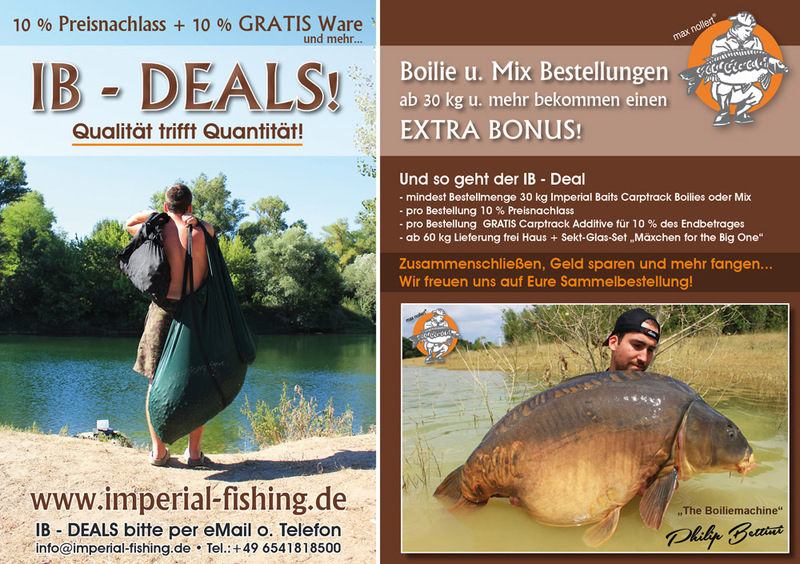 Maybe you heard of us through the great success of some of the best carp anglers from European countries! You bring the main component which is the ‚feel good factor‘, we provide the rest and we won’t disappoint you! Carp will eat almost everything, however there are certain substances that they definitely prefer. To figure out which they prefer is not done in a few hours, days or weeks. Even long-term trials over several months will initially only give an indication of tendencies. Our development and production is based on years of experience at the water. We work in cooperation with a selection of highly successful anglers and together we have developed the Carptrack range. Carptrack is a range of products that manages to attract the carp like no other product whilst also offering the perfect diet for carp. No matter if you fish short sessions without pre-baiting or longer sessions, Imperial Baits Carptrack products are taken quickly and the carp will continue to feed on it in the longer term as well. We differentiate our Boilies and all Pop Ups, Dips, Gels, Power Powders and Flavours between Stinker, Yummys and Cold Water. The Carptrack Range is relatively simple. At any Boilie variety we have in the program, there is the base mix, perfect Flavour, Dips and Gels, as well as Flyinghookbaits and Half'n Halfs. IB - DEALS - Quality meets quantity!